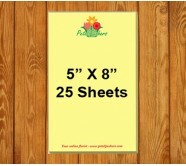 Do you know that custom promotional yellow sticky notes are popular with marketers? It is because they never go out style or fall short of attention among clients. You can use them to deliver a strong message at smaller prices and your customers will use them to stick their messages. 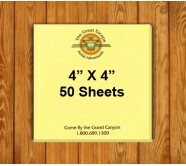 These custom notepads make impressive business gifts during conventions or tradeshows. Notepadsdirect.com offers a brilliant selection for promotional notepads that can make note-taking an interesting activity. 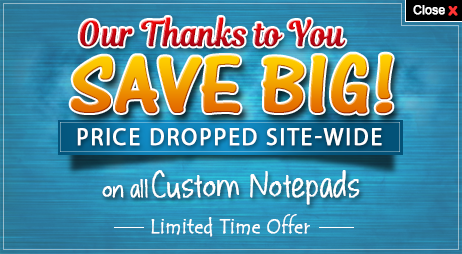 Fast shipping, 100% customer satisfaction guarantee, free online design proof, free artwork assistance and free artwork correction are the standards that make Notepadsdirect.com a preferred destination for promotional notepads. Do you want your customers, co-workers, clients and business partners to take you seriously? You should invest in these promotional yellow sticky notes because they will easily stick your brand information before their eyes. Whether it is taking a phone number, address or other details, making a grocery list or capturing an impromptu thought that has the crossed their mind or passing a message to colleague or friend, your recipients will find it easier to work over these sticky notes. By incorporating these yellow sticky notes into your next campaign, you can easily catapult your brand popularity and help your prospective recipients in times of need. When it comes to scribbling a quick note, most people reach out for wrinkled paper bits lying near them. Instead, you can always encourage them to use your logo printed sticky notes. Each of these notes bears your brand logo and strong adhesive that will help to stick them on a surface. Your recipients can use these sticky pads to stick reminders for their colleagues, co-workers and family members. Personalized yellow sticky notes come in variety of sizes and sheet sizes, so there is sure to be something for your business and budget. 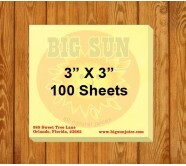 For other official use and quick notes, we offer an extensive selection of promotional sticky notes in various shapes as well as promotional notepads, too. 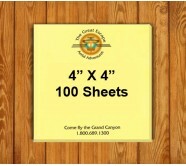 There is no other way to stick your brand information in customer’s mind other than these logo printed sticky notes! Whether you use promotional yellow sticky notes as office stationary, standout business cards or promotional compliment, our customized sticky notes are sure to offer promotional benefits that your customers will not easily forget. They don’t have to flip through websites or newspapers to contact you, they only need to check your information on the sticky note and they will be able to contact you. If you are puzzled about the right choice of yellow sticky notes for your campaign, feel free to contact us at 855-866-8372 or email us at info@notepadsdirect.com.